As Australia celebrates its 227th year as a nation, I’d love to reflect on our shared history spanning 126 years! So sit back with a cuppa, relax and enjoy all things Australian! In 1889, alongside the completion of the railway network between Adelaide, Brisbane, Melbourne and Sydney, rt health fund was born! On 1 January 1901, Australia’s six colonies became the Commonwealth of Australia and later that year, the Australian Flag was raised for the first time in Melbourne. At this point, rt health fund had already been around for over 10 years and around 75 per cent of the employees in the Great Railway and Tramway Service were fund members. Female employees also became eligible to join. Australia was an important part of the fight for freedom and by 1st November 1915, up to 3,000 railway and tramway employees had enlisted for active service[i]. By the time the war was over 60,000 Australians lost their lives and in 1918, the remaining troops started returning home. The Spanish Flu also arrived on our shores and health authorities appealed to the Railway Commissioners asking for masks to be manufactured at the Randwick Tramway Workshops. Within three days of the appeal, 41,000 masks were manufactured at Randwick and 21,000 at the Eveleigh Railway Workshops. Construction of the Sydney Harbour Bridge began, Qantas was founded, and that other Aussie icon, Vegemite, came on the scene. The first woman, Edith Cowan, was elected to parliament. During the 20s, health was a major focus and in 1921, the Commonwealth Department of Health was founded. Eight years later, the Public Hospital Act was passed – arguably the most significant piece of legislation affecting public hospitals in NSW history. The Wall Street Crash of October 1929 marked the start of the Great Depression, and a quarter of the Australian work force was unemployed by 1931[ii]. During this time the fund held fundraising carnivals in Petersham Park. This photo, “Training Photo of Pilot Lt. Robert L. Mains and B24 Crew: WWII, 8th Air Force (Mighty Eighth), 2nd Air Division, 448th, 714th Squadron, Seething, UK.” is copyright © David Foster and made available under a Attribution-Noncommercial-Share Alike 2.0 license. Australia once again prepared troops for deployment to fight with the allies. Around this time (1941), 40 per cent of Railways and Road Transport and Tramways employees were members of the fund[iii]. This photo, “Dame Edna” is copyright © Eva Rinaldi and made available under a Attribution-Noncommercial-Share Alike 2.0 license. In the 1950s, employment rates were high and Australia was prospering. Barry Humphries introduced the much loved, Dame Edna to the Australian stage and television was broadcasted for the first time in Australia. For rt health fund, the 1950s saw electrical workers formally incorporated into the fund membership rules – around 2,500 railway employees in jobs associated with electricity generation were transferred to the new Electricity Commission. In 1953, the National Health Act and the Commonwealth Medicare Benefits Scheme was established, changing the health insurance landscape. This photo, “The Sixties” is copyright © Tetsumo and made available under a Attribution-Noncommercial-Share Alike 2.0 license. The swinging 60s saw social walls surrounding racism and sexism starting to crumble; there were large-scale protests about the Vietnam War, equal opportunities, fair wages and fights for indigenous rights. The Commonwealth Electoral Act was amended to give all Indigenous Australians the right to enrol and vote at federal elections. The Beatles World Tour came to Australia. Plus, Prime Minister Harold Holt disappeared while swimming at a beach. Legal changes at this time meant that the fund had to be registered as a Friendly Society. In 1963, we also changed our name to the NSW Railway and Transport Employees’ Hospital Fund (tramways had been replaced by buses in Sydney). This photo, “What to wear” is copyright © Imagaday and made available under a Attribution-Noncommercial-Share Alike 2.0 license. Marked by iconic fashion trends, discos, hippies and big hair, the 70s was also a time of great political and social growth in Australia. In 1972, after 23 years of Liberal Government, Gough Whitlam’s Labor Government was voted in and many social reforms followed. One of the key health proposals was the introduction of a National Health Scheme to be financed by a compulsory income levy – the precursor to the modern-day Medicare scheme[iv]. 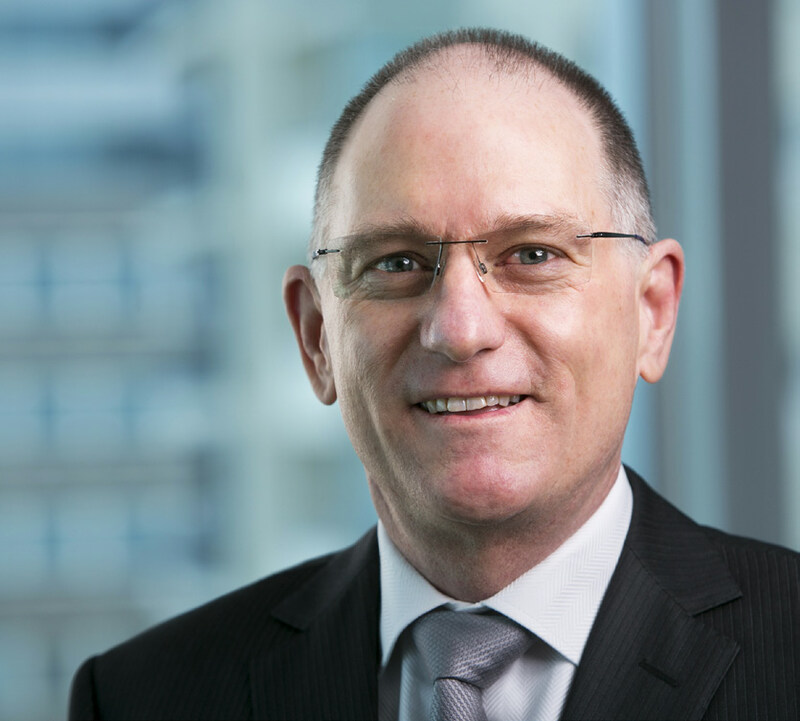 At the 1978 annual general meeting, the fund’s President played an active role in forming an association of closed hospital funds – the Health Insurance Restricted Membership Association of Australia or HIRMAA which continues to be an active forum for all restricted membership health funds. This photo, “Paul Hogan” is copyright © robinmcnicoll and made available under a Attribution-Noncommercial-Share Alike 2.0 license. In 1983, after hospital charges increased by 60 per cent, rt health fund was required to install its first computer system for rapid identification of claims. It was a time of retro fashion, pop music and the new national anthem, Advance Australia Fair. In the same year, 1984, Medicare was established[v]. Four years later, we celebrated our bicentenary and the opening of Parliament House in Canberra. In 1989 rt health fund celebrated its 100th anniversary with the issue of a centenary medallion plus celebrations at the Railway Institute. Later, in the year, the fund launched extra’s cover to pay benefits for services not covered by Medicare. The 90s wasn’t all butterfly clips, double denim, and bleached hair – we welcomed Queenslanders into our membership and celebrated the opening of our new office in Brisbane. By 1994, Queensland members represented 12.95 per cent of total membership. This photo, “Olympic Rings. Quayside, Newcastle.” is copyright © Craig Deakin and made available under a Attribution-Noncommercial-Share Alike 2.0 license. Australia celebrated in the year 2000 with the Sydney Olympic Games. In 2008 we welcomed the first female Governor General, Quentin Bryce and in 2010 Liberal, Ken Wyatt became the first Indigenous Australian to be elected into the House of Representatives[vi]. Over the last decade or so rt health fund has celebrated many occasions. We opened our new Brisbane office in 2000, launched the rt Families Foundation (a registered charity run by rt staff) in 2006, and also rebranded and adopted the name ‘rt health fund’. Our new tagline “be well. get well. stay well.” showed our focused commitment to taking an active role in helping people take care of their health. In 2009, rt health fund was named one of the best value health funds by the Smart Investor magazine. Four years ago we relocated our headquarters to our current premises in Surry Hills. And in 2013, global research company, IPSOS found that members of rt health fund are most likely to recommend, least likely to be considering switching funds, are happier members and strongly associate rt with value for money, better claim rebates and making private health insurance easy to understand. In fact, rt health fund scored the highest in the health insurance industry for member service[vii]. These were incredible results and we’re so honoured to be recognised by our members! 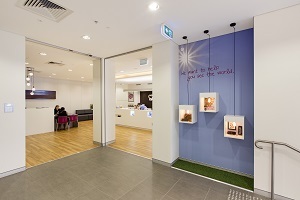 During 2013 and 2014 our first dental and optical clinics – rt healthy eyes and rt healthy teeth clinics in Surry Hills and rt healthy eyes in Charlestown opened. They are designed to serve and give quality care to our members along with the wider community. Last year saw a change in our membership eligibility, which means that all employees within the energy industry can now join us, too! Looking back leading up to Australia Day, we are grateful for our long history that has been interwoven with Australia’s history at large. I am looking forward to 2015 and all that it will hold and I and the people that make rt health fund are excited that you’ll be with us on the journey for the next 125 years and beyond! With all the changes that have happened since 1889 and continue to happen, we are more committed than ever to helping our members in every way and building a healthier Australia. [i] N.S.W. Railway & Transport Employees Hospital Fund. 100 reflections of 100 years 1889-1989. [ii] N.S.W. Railway & Transport Employees Hospital Fund. 100 reflections of 100 years 1889-1989. [iii] N.S.W. Railway & Transport Employees Hospital Fund. 100 reflections of 100 years 1889-1989.